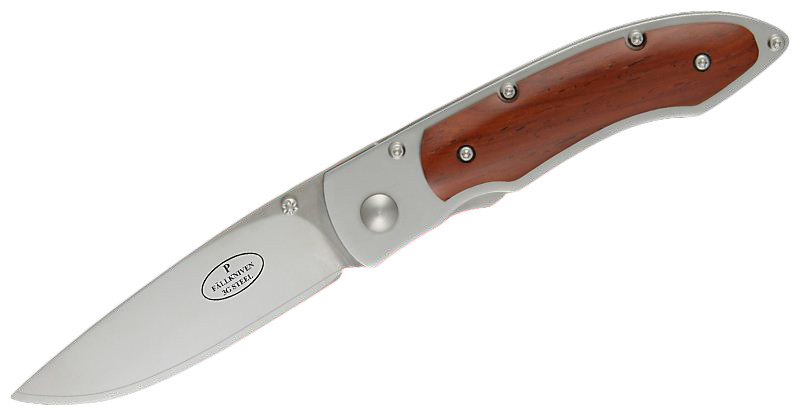 The P3Gy model is one of the best knives on the market and as to be expected from Fallkniven, there is a whole new and functional style to the knife. The P3Gy combines the expected technology from Fallkniven together with genuine handcraft and a design which can only be described as timeless. The PG3y comes with a handle made out of stainless steel and which locks in position quite tightly. The knife is also pretty easy to keep clean and has studs on it which make the PG3y extremely easy to use if you are right handed as well as left handed. So if you’re in for some heavy duty work then the P3G model is pretty good for you! The P3G model comes with the revolutionary 3G steel combination which consists of the SPGS steel in the centre flanked by the anti-corrosive VG2 steel layers on either side creating an unbeatable combination which is super hard and very sharp. The knife’s handle is also revolutionary and original in its own right since it is made from a smooth yellow ochre bone that is manufactured from Highland cattle which roams freely and whose bones are of an almost unbreakable quality. The handle is also extremely useful in messy and dirty situations where the handle can become all sludgy with blood and liquids but these easily wash off the handle material. The PG3y also comes with a classic Black cordura sheath with belt loop that allows the knife to be carried around in every situation and place. The knife is seven inches long while the blade length is 3 inches long. With a blade thickness of 0.11 inches and a hardness of 62 RC, you can be assured that the PG3y is definitely not a knife for turning. Weighing just 2.44 ounces, it is also extremely easy to use and handle in difficult circumstances. 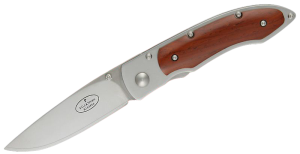 The Nylon type sheath is of the highest quality while the liner lock makes it a very sturdy knife indeed.